Staying healthy and vital throughout the adult years is a serious responsibility; the consequences of not talking this responsibility seriously can be the development of serious and chronic health issues. For adults with growth hormone deficiency, not being able to find affordable HGH therapy has represented a very real threat to their ongoing healthfulness and vitality. So some very resourceful and innovative doctors have come up with a way to make this health-enhancing medical treatment both more affordable and more accessible. The hormone replacement therapy doctors at Nexel Medical decided to base their medical practice online, a momentous decision that immediately made their HRT available to every adult currently living in the US. From that point on, our doctors have helped numerous adults living in all 50 states to maintain their health goals through the use of HGH replacement therapy programs. While our patients represent diverse ages, incomes and backgrounds, what they all have in common is this unifying trait: Each one of them has been diagnosed with growth hormone deficiency. Here is another fundamental thing that our patients share – they all wanted to receive treatment for their hormone disorder as long as they could find a respected medical provider that could prescribe affordable HGH therapy for them. A source that wouldn’t attempt to upsell them on additional treatments that were not clinically essential, or pressure them into the additional use of expensive nutritional supplements that were not necessary. What our patients want, and what they find at Nexel Medical, is affordable, straightforward and medically correct treatment for adult-onset and symptomatic growth hormone deficiency that they can conveniently access online. We streamlined and localized our treatment process to save the time and money of our patients, and we even provide them with an online pharmacy from which to have their prescriptions for human growth hormone injections filled, all in the interest of making HGH replacement therapy more affordable to the adults who require it. Week after week, new articles and blogs appear across all media that are touting the merits of combatting age on a cellular level; but sometimes we adults forget that our continuing good health rests on the same cellular foundation. Becoming healthier at the cellular level is the fundamental scientific premise behind medically managed human growth hormone replacement therapy. And as long as your treatment program has been properly prescribed for you and is being responsibly supervised by your doctor, using affordable HGH therapy will provide you with the same remarkable benefits as treatment provided by an expensive anti-aging clinic or medical practice. The benefit of increased energy. Elevating your growth hormone levels back into the healthy normal range provides adults with greater energy. The benefit of increased immunity. You’ll get fewer colds and other minor illnesses and you will be able to recover much more quickly. The benefit of increased cognitive function. Healthy GH levels help to keep you mentally sharp and focused. The benefit of healthier cell renewal activity. This is what allows your body’s systems and organs to function properly. The benefit of a more youthful appearance. Your skin, the body’s largest organ, will appear smoother and more toned. The benefit of a trimmer and healthier physique. HGH therapy promotes the rapid loss of excess fat and improves your body’s muscle tone. It also supports bone density. The benefits of a reawakened libido and improved emotional wellbeing. A healthy growth hormone supply can make you feel sexier and happier. The benefit of reducing your future risk for heart disease, osteoporosis and stroke. The cost of your treatment is not what determines the delivery of benefits like these; it is the quality of your treatment that will determine its success. You can be assured that the affordable HGH therapy that Nexel Medical provides to each of our patients is based on the highest standards of medical quality. Saving time is almost as important to most adults today as saving money is. And when it’s hard enough to cross everything off your daily “to do” list, where will you ever find the time to see a medical specialist who can test you for growth hormone deficiency and prescribe treatment for you? This nearly universal dilemma is also something that Nexel Medical wanted to resolve for our patients in addition to providing them with affordable HGH therapy programs. The best way that we have found to accomplish this is to make it possible for our patients to simply go to their nearest local medical testing lab to have their required blood test performed and to be examined by a local physician. So we have clinical advisors who can quickly and easily schedule these procedures for our patients. However, that is not all that Nexel Medical’s experienced and always helpful clinical advisors can do for you. 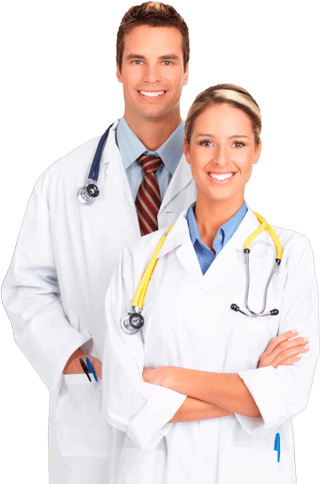 They can answer any questions that you have about using HGH replacement therapy, whether you are already a patient of ours, or have just started thinking about getting medical treatment for your deficiency symptoms. They can also explain anything that you don’t understand about the required preliminary procedures; and since you will be administering your prescribed injections at home, they can explain to you how this is done (we also have an instructional video available online). They can tell you how safe and secure it is to use our preferred online pharmacy for ordering your treatments; and all of this can happen in just one phone call to Nexel Medical with no further obligation on your part. We are just glad to be able to provide adults with accurate information about becoming completely revitalized – and remaining that way – by restoring themselves to hormonal health.